OLD PARKED CARS. 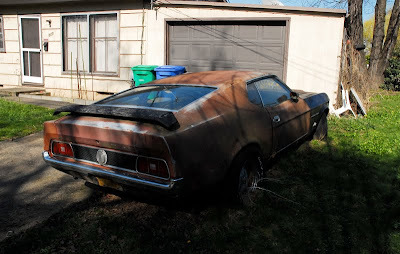 : 1971 Ford Mustang Mach 1. 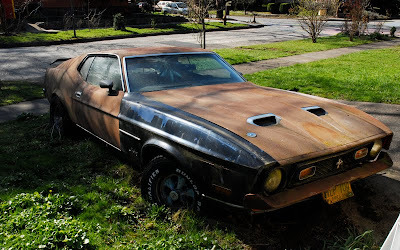 1971 Ford Mustang Mach 1. Factory spoiler really brings it together. 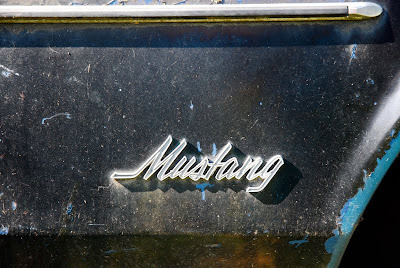 Considering this is about the oldest car I can picture with an original spoiler, I can't believe how much I think it works and how little they have changed over 40 years. yeah, i'm feeling the spoiler, too. 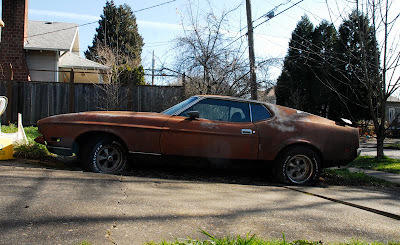 if i can push the Joe Dirt vibe out of my mind, this car makes me feel kind of proud of american muscle.